Welcome to episode 5 of The Hollow Tube Podcast, the podcast that answers the question of what if? We are starting to get into the rhythm of podcasting and working out all of the audio issues which can happen with Skype recorded calls. Patrick wanted to clarify that the pigeons on his deck are the wild band-tailed pigeons, not the ones you see in parks downtown. In tonight’s show we talk about having a vision statement and the concept of “ethoscentricity” or the philosophy that you live your life by. It would be a good idea to write down your philosophy on a piece of paper and carry it around with you until it becomes ingrained in your DNA. This is who you are and no one is going to change it. The basic tenants of your ethos must be something that you won’t deviate from unless it is for the better. [03:15] The flock of 8 pigeons on Patrick’s deck are the beautiful banded pigeons which are cousins to carrier pigeons. [05:45] Expanding your creativity by sketching details in a book the way Darwin did. [07:13] How Darwin sat on his information for decades because evolution went against religion doctrine of the day. [07:56] Darwin’s most important book was his first The Origin of Animal Species. [08:44] How Darwin’s dad wanted him to go to medical school and he didn’t want to go. [10:15] How the tortoises on the Galapagos are massive with some as big as Volkswagens. The crews on ships also ate them and almost wiped them out. [12:29] The wallpaper guy who knew everything about history and the greatest books of all time. [15:12] Constants and variables. Constants are hanging the X-rays on the view box before surgery to always know what body part you are working on and looking at the consent form. Have everything lined up perfectly and straight. [17:43] Constants that you do the same way everytime become ingrained in your muscle memory. [18:09] Use the constants to become prepared for the variables, so that you can analyze things on the fly. [18:59] The movie Sully with Tom Hanks and how it takes a few seconds for the human brain to analyze a variable. The perfect example of constants and variables in the real world. [22:30] How negative ideology can become a self-fulfilling prophecy and become our story or “nightmare”. [24:29] We have a genetic predisposition to be certain types of things in our life. We are also influenced by environmental factors like friends, family, and nutrition. [25:48] “Ethoscentricity” – What is the creed you live by to guide your life. Things like Benjamin Franklin’s 13 virtues or characteristics of how he wanted to live his life. [27:33]Industrial Engineer Dr. Deming wanted to create a vision statement from top to bottom and create a collaborative atmosphere with everyone having a more clear understanding. He went to Ford and US automakers, and he was rejected. He took his ideas to Japan and ‘made in Japan” became a way of life. [31:52] Continuous quality improvement is making incremental changes to each component to perfect the entire system. [34:56] It all starts with making changes in yourself which lead to incremental changes in people around you. Know your truth. [36:15] If you have a clear vision of your ideal self and you align with that everything clicks for you. 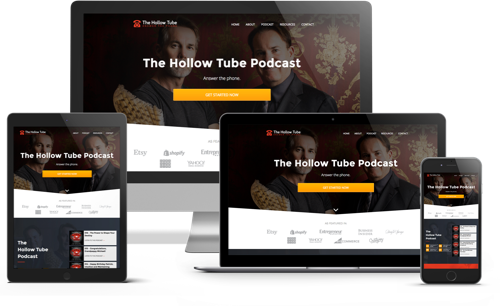 The “hollow tube” concept. [37:35] The Red Telephone is ringing with tidbits from your future self to your current self. Answer the telephone. 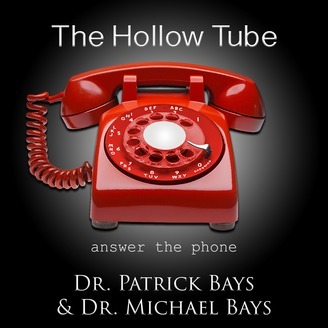 [40:43] How Mike got Patrick interested in the metaphoric “hollow tube” structure. [45:52] Embryos, parasites, and hormonal changes when a mother has a child. The ultimate symbiosis. Go out and get a “hollow tube” notebook. Get it in a power color that works for you. Sit down and envision your ideal self. Then list 3 characteristics that you can begin working on. Then start making incremental changes. You can always add more characteristics later. Also, keep in mind the law of constants and variables and try to have as many constants as possible.